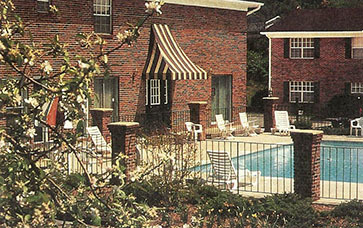 Privately secluded along the meandering banks of Pistol Creek in one of the nicest neighborhoods of East Tennessee rests Kingstown Colony Apartments-where the quality lifestyle of a small town meets the excitement and opportunities of a big city. Living slightly off the beaten path has some advantages. Quieter neighborhoods. Better neighbors. A more stress-free home. Whether you are going to work, or out on the town, easy access to the 33, 73, 321, 336, and 411 make commuting a breeze. Come see how well we fit your lifestyle by scheduling a tour today! Kingstown Colony features the amenities of gracious living.